A heartbroken and humiliated Ricky Graves took the life of a classmate and himself. Five months later, the sleepy community is still in shock and mourning. Ricky's sister, Alyssa, returns to confront her shattered, withdrawn mother and her guilt over the brother she left adrift. Mark McVitry, the lone survivor of the deadly outburst sparked by his own cruelty, is tormented by visions of Ricky's vengeful spirit. Ricky's surrogate older brother, Corky Meeks, grapples with doubts about the fragile boy he tried to protect but may have doomed instead. And Jeremy Little, who inadvertently became Ricky's long-distance Internet crush despite never having met, seeks to atone for failing to hear his friend's cries for help. For those closest to the tormented killer, shock and grief have given way to soul searching, as they're forced to confront their broken dreams, buried desires, and missed opportunities. 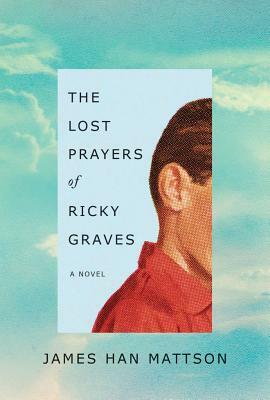 And in their shared search for meaning and redemption, Ricky's loved ones find a common purpose: learning to trust their feelings, fighting for real intimacy in a world grown selfish and insincere, and fearlessly embracing all that matters most...before it's gone from their lives.